Curing ovens are used for triggering a chemical reaction in the process material by heating it up to a certain temperature. Our range of curing ovens can be employed to process a broad variety of products which includes composite, epoxy, lacquer, rubber etc. Meta Therm Furnace Pvt. Ltd is one of the topmost Curing Oven Manufacturers In Mumbai, and you can avail these products from us at highly reasonable prices. The chemical reaction triggered by the oven increases the overall durability and strength of the material. The temperature limit is always in your control and you can adjust it as per your requirements. Uniform Heating - These ovens provide uniform heating, and it becomes highly beneficial in maintaining the required temperature. Catalyzing Agents - You can introduce one or more catalyzing agents to speed up the process for increased productivity. Easy To Operate - These products are easy to operate, and you don’t need to go through specialized training to operate them. 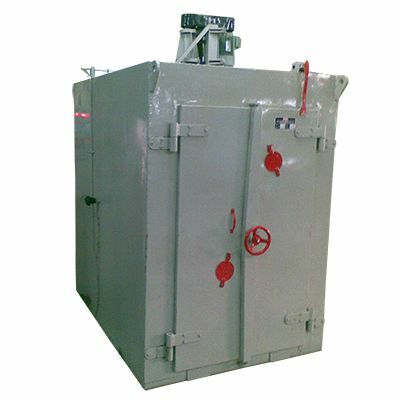 Our company has emerged as one of the distinguished Paint Curing Oven Exporters and Suppliers in India. Buy our Oil Fired Curing Oven right now by talking to us over the phone.